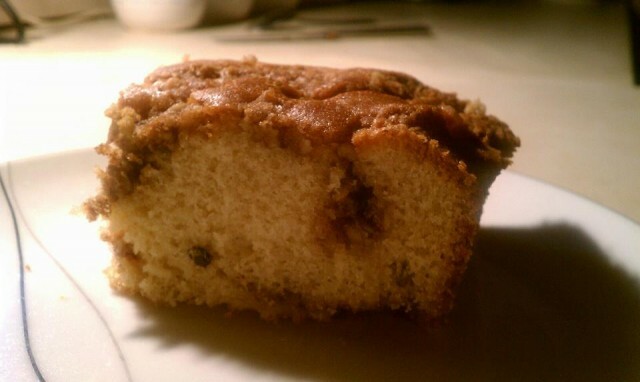 Gina made her homemade sour cream coffee cake. It has this amazing crumble inside it and the cake itself is just perfect. It smells and tastes even better than it looks.